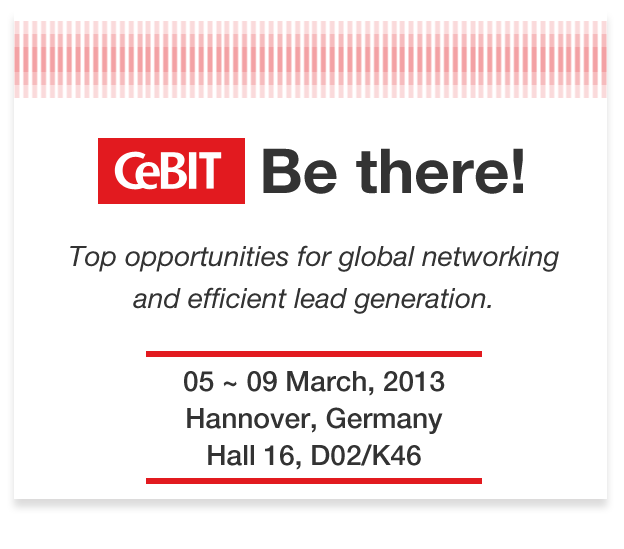 Sollae Systems participated in CeBIT 2013 in March. The international ICT industry and CeBIT as its flagship show have injected fresh impetus into the global market. Participating exhibitors rated CeBIT 2012 as a highly successful show. Surveys revealed yet another rise in the number of business contacts initiated and leads generated, and exhibitors reported lively visitor traffic throughout. Once again this year, more than seven million business talks were held at CeBIT.